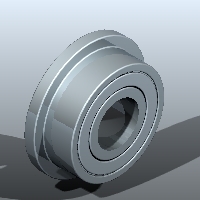 This pages lists our range of Radial ball bearings with Flanged outer races for helicopters. The stock information is given in good faith and reflects normal personal requirements. The stock is obviously subject to sudden change but we endeavour to keep this web page as up to date as possible.